Dragon Ball Super finally played out a moment fans have been waiting on for some time now. When audiences learned the anime would introduce the first canonical female Super Saiyans, many wanted to know how Goku would react to the ladies. And, in the anime’s most recent episode, the trio finally get to meet up. In the 96th episode of Dragon Ball Super, fans watched as the multiverse gathered ahead of the Tournament of Power. Universe 7 arrived in distress thanks to its recent addition of Freeza, but Goku shook off any bad feelings when Cabba introduced him to the Saiyans Caulifla and Kale. “Oh! A girl Saiyan,” Goku says when he spots Caulifla. The hero then reaches out a hand to shake with the girl, but Caulifla does not seem interested in playing nice. She smacks away Goku’s hand to the astonishment of Cabba. Goku is not bothered by the brush off. If anything, the hero is excited by Caulifla’s actions. “The strongest of all the universes, huh? So you’re just like me. 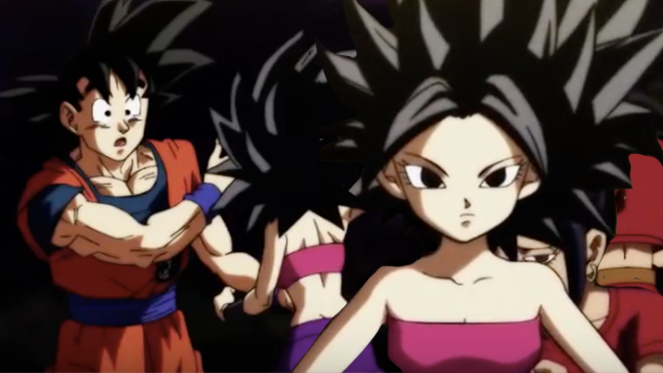 It doesn’t take long for Goku to notice the other female Super Saiyan from Universe 6. Kale makes herself scarce during the encounter, but Goku takes a moment to size her up. The moment gets interrupted when the Gods of Destruction begin bickering about Universe 7, but the meeting does give fans some interesting insights. Caulifla’s brusque behavior towards Goku has made her a target for the Saiyan. Her unique status as a female Super Saiyan won’t go unnoticed by Universe 7 once the tournament gets underway, but Kale is the one they should be worried about. If Goku and his crew gangs up on Caulifla, Kale may enter her Berserker Super Saiyan form out of anger, and Universe 7 will be canonically introduced to the kind of destruction only Broly has created before. 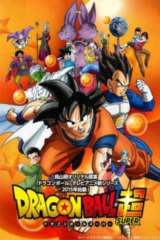 Dragon Ball Super's “Universal Survival” saga is part of the recent simulcast agreement that sites like Crunchyroll and Funimation have scored. Dragon Ball Super airs on Crunchyroll Saturdays at 7:15 p.m. CST. Toonami airs the English dub on Adult Swim Saturdays at 11:30 p.m.